“Every single time you respond to a customer complaint it increases advocacy. Every time you don’t it decreases it.” Jay Baer would know. 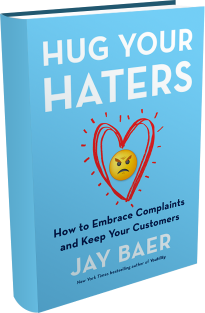 For his new book Hug Your Haters, Jay didn’t just write about what he thought and felt about customer complaints. He commissioned a study from Edison Research to better understand the role customer service plays in how we build brands online. 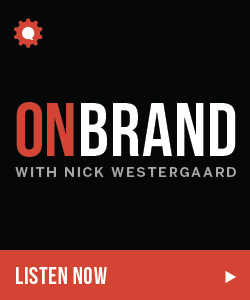 We talked about all of this — including his upcoming keynote at Social Brand Forum 2016 — on this week’s On Brand podcast. Jay Baer is a marketing and online customer service expert and eye-opening keynote speaker who has advised more than 700 brands since 1994 including The United Nations, Nike, Cisco, Allstate and 32 of the FORTUNE 500 companies. Jay is the most re-tweeted person in the world among digital marketers and is the President of Convince And Convert, a consulting firm where he and his team help companies gain and keep more customers. Jay also publishes the world’s #1 content marketing blog, the #1 marketing podcast, and a daily email newsletter. He is a New York Times best-selling author of five books, an avid tequila collector and a certified barbecue judge. The story behind the Convince and Convert brand name. We kicked things off by talking a bit about Jay’s brands. 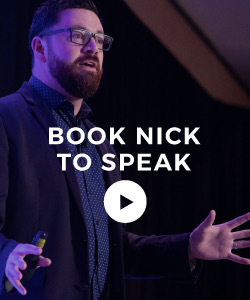 “It’s a bit of a balancing act between the Convince and Convert brand and the Jay Baer brand. I very purposefully wanted to create something that wasn’t just me. Initially I was going to specialize in conversion rate optimization.” Hence, convince and convert. 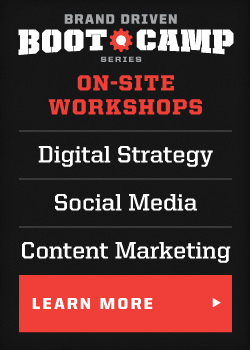 While the brand has gone a different direction, it’s growth has been phenomenal over the past 8 years as it’s morphed from a solo blog to an agency and content platform including a robust podcast network. The book Jay almost wrote instead of Hug Your Haters. “The book was initially going to be about how speed is the killer app. The original title of that book was Under an Hour.” As Jay reviewed the research commissioned to support the ideas in the book, he realized it wasn’t really about speed. It was about responsiveness. “There are no incentives to be great and no disincentives for being terrible.” That’s changing. “Customer service is now a spectator sport. It used to be that only your customers would know if you don’t respond.” Now all of this happens in front of an audience. You have what Jay calls off-stage complaints and on-stage complaints. What brands are doing great at hugging their haters? Jay told the story of Discover overcoming expectations in the financial services sector with their new initiatives. He referenced KLM’s 150 full-time employees working in social media customer service who can offer responses around the clock in 14 languages. What brand has made Jay smile recently? Last week Starbucks controversially changed how their loyalty program works. Jay loved that they responded by personally answering every single person on social media. Talk about hugging your haters! To learn more, follow Jay on Twitter and check out the for Hug Your Haters website. 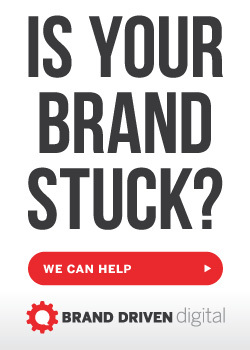 Remember, you can get a FREE copy when you register for this year’s Social Brand Forum in Iowa City, which Jay is speaking at. 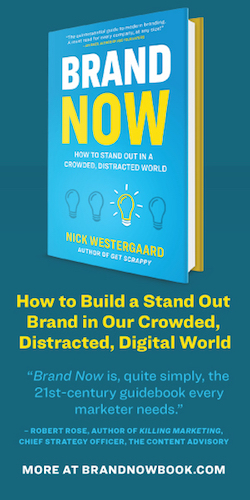 Plus if you are one of the NEXT FIVE (5) to register and email your receipt to nick at westergaard dot com I will personally send you a copy of Hug Your Haters right now! Paul Warner in Spokane, Washington gave a shout to recent episode I did of The Business of Story podcast, coincidentally a part of the Convince and Convert podcast network. Thanks Paul! This entry was posted in Podcast and tagged convince and convert, customer service, discover card, hug your haters, jay baer, klm airlines, marketing integration, starbucks. Bookmark the permalink.